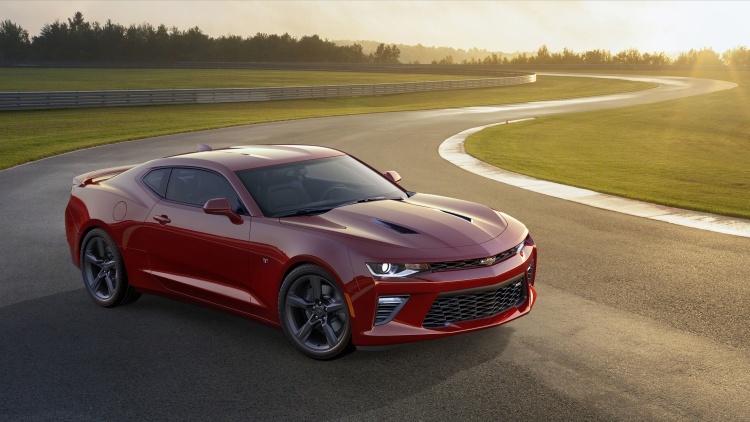 Chevrolet will debut a 2016 Chevrolet Camaro "visualizer" later this summer that enables car shoppers to experiment with different colors, options and accessories on the highly anticipated all-new coupe and convertible. The visualizer is a precursor to the formal 2016 Camaro online vehicle configurator, Todd Christensen, Camaro marketing manager, told Edmunds on Friday. "The visualizer won't have pricing," he said in a phone interview. "A configurator with full pricing will go live around the time that the cars are on sale in the late fall." Chevrolet spokesman Monte Doran confirmed there will be new Camaro convertible, but that version won't debut at the car's upcoming event in Detroit on May 16. Launch timing on the convertible was not provided. While Chevrolet is holding off on many Camaro details until the car's public debut, Christensen provided a preview of what enthusiasts can expect with the all-new car. He said new performance and cosmetic accessories are planned, along with new colors. "We're taking a page from what Camaro enthusiasts tell us," Christensen said. "You've got to treat accessorization as a full-scale strategy and not an after-thought. They have to be well integrated when the car debuts." He said enthusiasts will be able to personalize the 2016 Camaro "inside and out, with some performance features as well." While he wouldn't spell out the exact color palette for the 2016 Camaro, he said "there is a good range of bright and expressive colors to some very luxurious and subdued shades." The exterior color choices will include "bright reds and yellows to beautiful grays and deep metallic reds," he said. Retro colors, such as Butternut Yellow and Frost Green, will not be offered, however. "There's nothing about this car that's retro," said Doran. The Camaro team gathers Camaro wish lists from enthusiasts by attending Camaro car club events, scouring social media and monitoring the Camaro Facebook page, the largest Facebook car page at General Motors with nearly 5 million likes. When asked what Camaro enthusiasts are expecting from the 2016 Camaro in terms of performance upgrades, Christensen said: "I don't know that there's a specific expectation. They are looking for us to improve upon what was already great. We're starting with a high bar. Our customers say ‘You guys are doing a good job. Keep it up.'" Key rivals to the Camaro include the Ford Mustang, Dodge Challenger and Nissan 370Z.